RM Auctions will hammer off some very exclusive classic motor cars in London, October the 28th. One of which is the experimental Rolls-Royce New Phantom 17EX bodied by Jarvis & Sons. This car is being offered without reserve by Victor R. Muller, CEO of the revived Dutch automobile brand Spyker. The Peacock blue Rolls-Royce New Phantom (later referred to as Phantom I) with chassis number 17EX (EX for Experimental) is one of four experimental chassis delivered to coachbuilders Jarvis & Sons, Hooper and Barker. These experimental cars were used as test cars to find the answer about why Rolls-Royce was not able to keep up the speed of the Blower Bentleys. Mr. Royce figured minimalism, aerodynamics and lightweight body constructions were the solution and he instructed his brilliant young designer I.F. Evernden to tackle this task. Evernden realised that the classic coachbuilder of the day was still using traditional methods of body construction evolved in the days of the horsedrawn carriage, so he designed a whole new body contruction which was skinned by Barker and put on chassis 10 EX. After testing the car at Brooklands 3 more experimental cars were built: 15 EX, 16 EX and 17 EX. Rolls-Royce did not find it very necessary to increase the engine's power output. 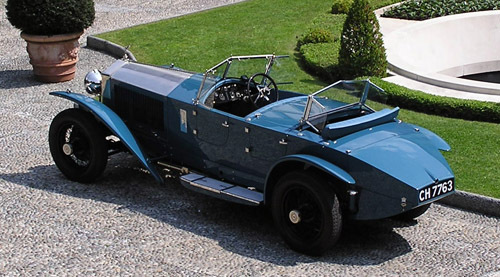 Except for chassis 17EX, which eventually was typified by Rolls-Royce as 'Phantom Sports'. A variety of experimental parts were tested on chassis 17EX before the lightweight Jarvis Torpedo body was finished in 1929. Upon completion 17EX was sold to Maharaja Hari Sigh Bahadur, ruler of the princely state of Jammu and Kashmir, whose family already owned about 26 Rolls-Royces. He kept the car until 1932. The car remained in India up until 1976 when it was recovered in a bad state in Calcutta. The car was sold to a Canadian and later to Veniero Molari from Italy, who sold the car to Victor R. Muller in 1998. 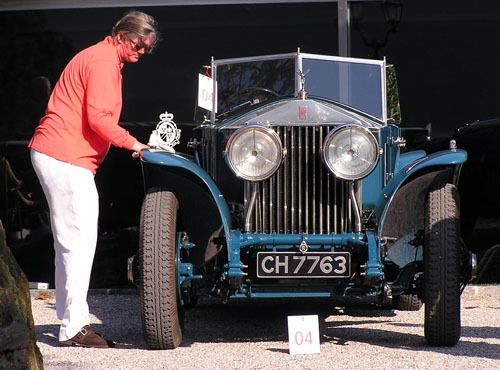 After a thorough and lengthy restoration, the unique Jarvis Torpedo was first shown at the 2006 Concorso d'Eleganza Villa d'Este by Mr. Muller and it was awarded with the Trofeo Rolls Royce for the most elegant Rolls Royce in the show. Now Mr. Muller has decided to part from his beloved experimental Rolls-Royce. We all know Spyker is still struggling to bring some new models into production, so let's hope 17EX will fetch a nice amount of Euros to enable Spyker to speed things up. Just like this unique New Phantom once did for Rolls-Royce. Click here to see more photos of the Experimental Jarvis 17EX.